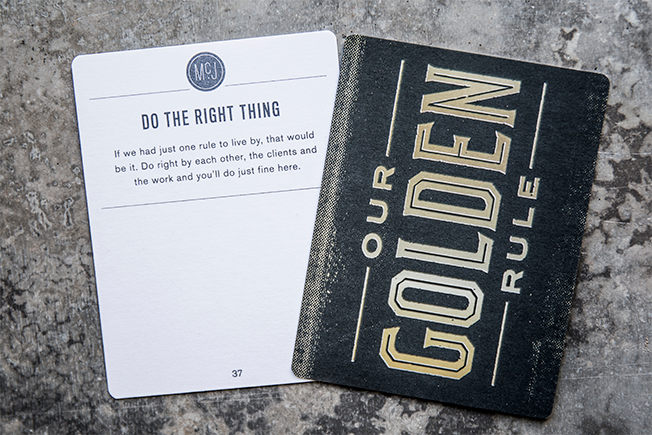 As small agencies expand, maintaining culture can be a challenge. 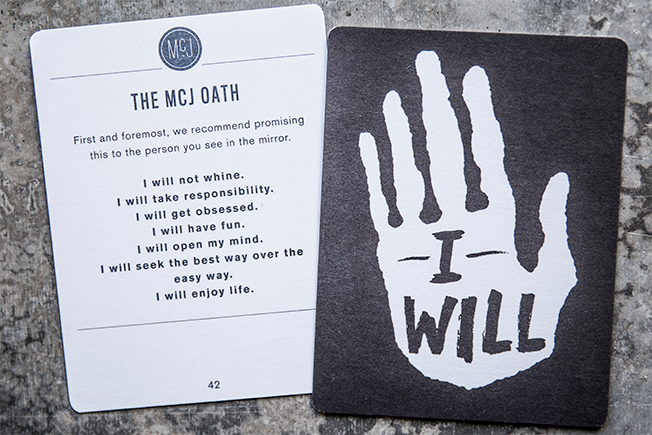 McGarrah Jessee, an agency that threw a massive celebration complete with streamers and beach balls for its 100th employee, recently rounded out its team to 140 people. 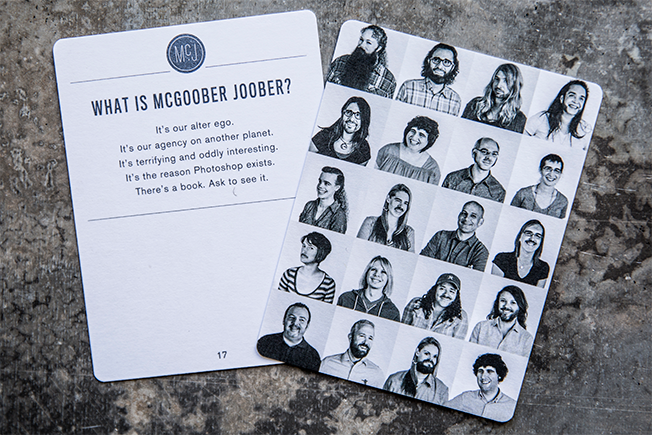 While the expansion was a big one, the agency needed to figure out the best way to bring new employees up to speed on all things McGarrah Jessee. 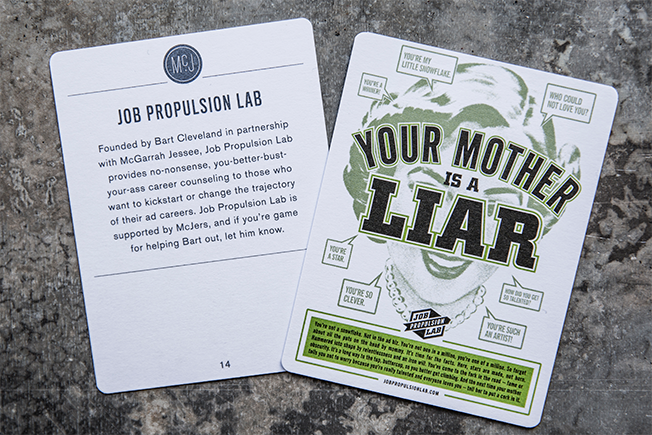 Putting together a packet or PowerPoint filled with all the key facts about the agency, its people and clients was one route, but as a creative organization, those options didn't seem all that creative. 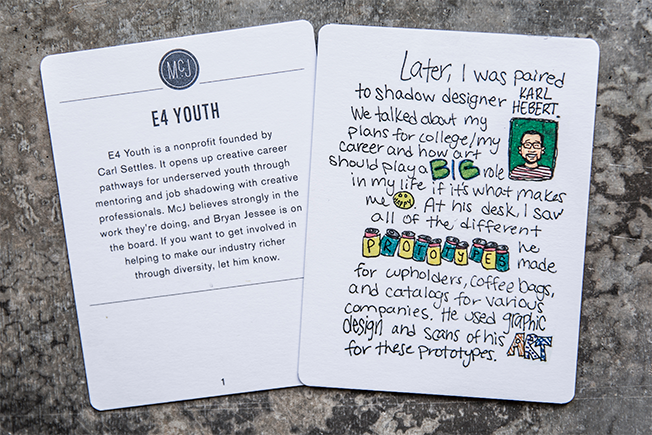 Instead, the team decided to take a more interactive and visual route, compiling a lovely deck of 48 "Culture Cards"—which each designer at the agency had a hand in creating—that new employees collect in their first few days at the agency. 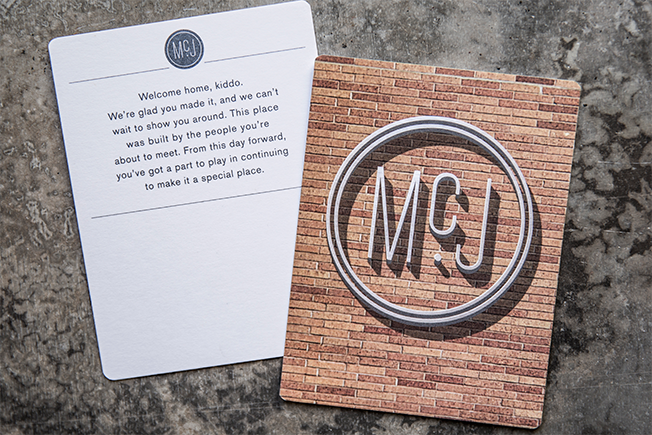 "As the agency got bigger, there was an idea to formalize what had been happening organically—the passing down of legends and company folklore—along with a need to communicate some Company 101 stuff," Heather Snow, marketing director at McGarrah Jessee, said. 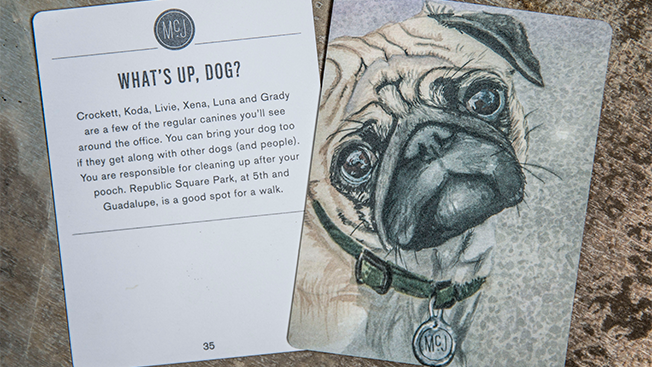 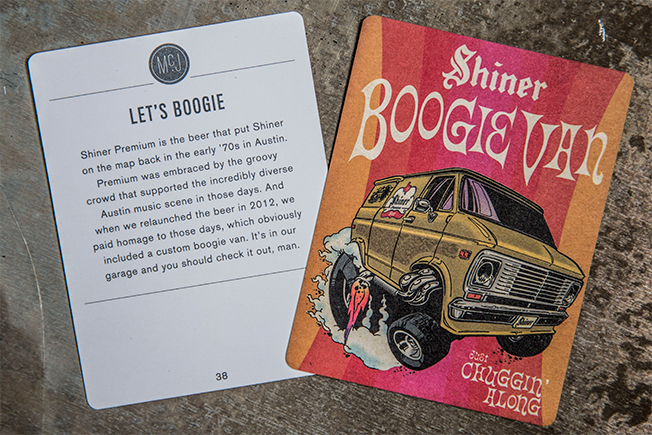 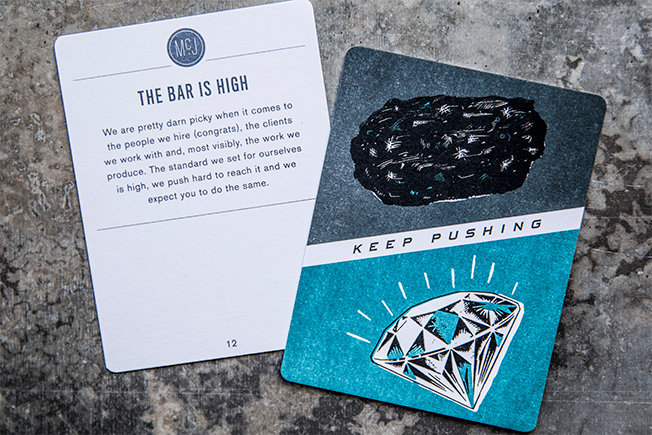 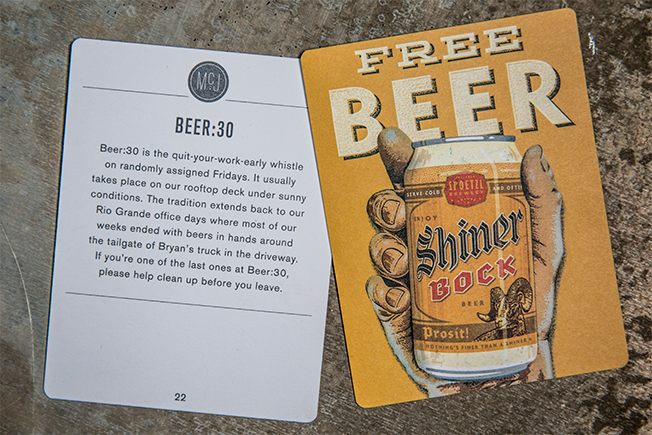 "We landed on cards because they lent a tactile quality to the stories. 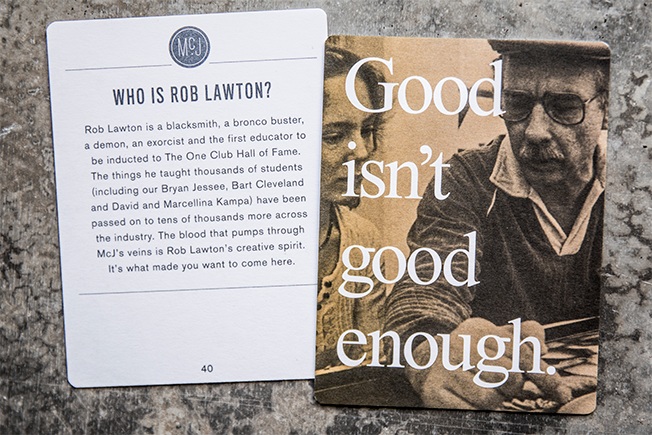 A printed, physical piece that was beautifully designed added gravitas. 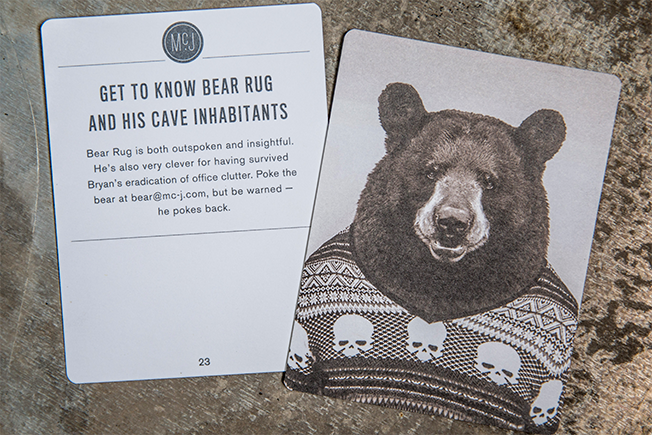 And we liked the interplay of the oral storytelling experience coupled with each employee having their own physical takeaway." 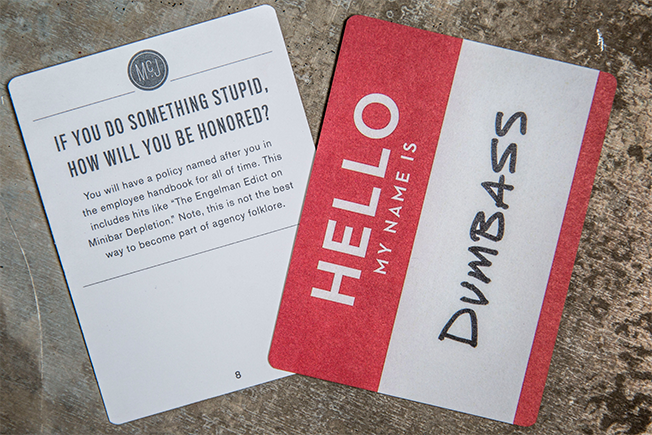 Each new employee spends the first week exploring the agency, hunting for new cards to add to the deck, spending some quality one-on-one time with the rest of the staff in the process. 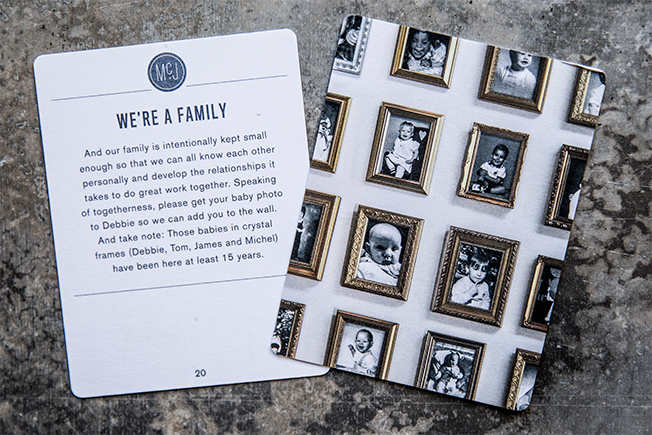 While a key part of the idea was to get new people to meet the whole staff, it was also meant to teach them about the shop's history and quirks, done through a handful of wild cards that Snow described as "discoverable idiosyncrasies reflecting the heart of our culture that acted as mini conversation starters." 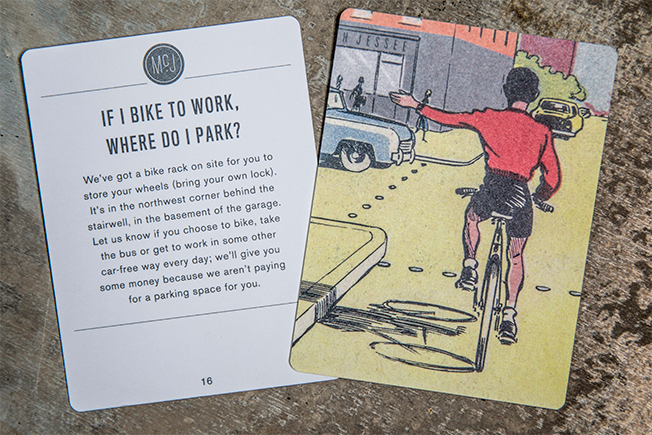 There are cards detailing everything from where to park your bike each day to why the team loves whipping up waffles in the kitchen on Fridays and why there's a VW Beetle with wings (that may or may not fly) sitting on the agency's rooftop. 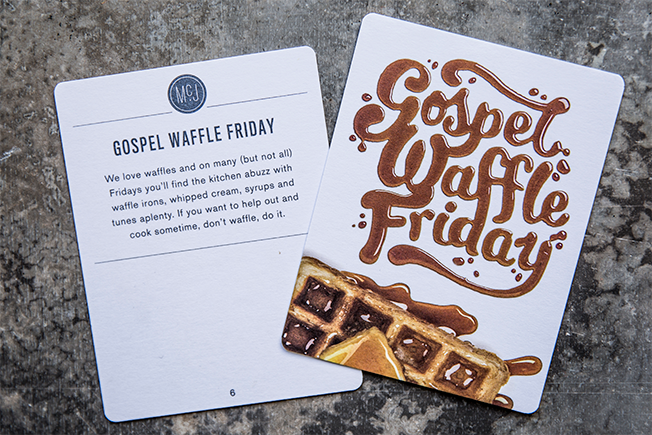 Take a look at some of the cards below.